Netflix is really invested in online streaming. Unfortunately for many of us with Mac computers they had left us out in the cold (so to speak) because Microsoft’s Play Ready DRM was incompatible with Mac. 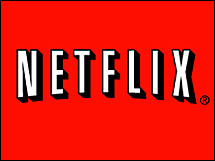 Netflix is moving to Microsoft Silverlight 2.0 beginning today which is supported by Intel-based Mac computers. The second-generation movie player will also be supported by the Firefox web browser. Another good move. The roll out will initially be available to a small number of subscribers. The new player will be available to all subscribers by the end of the year. I hope this new player will also allow for higher-quality video and surround sound audio. I’m not holding my breath.